Part of Venturefest South West, a showcase of the most cutting edge innovation and entrepreneurship coming out of Devon, Cornwall and Somerset, HackFest is a county-wide project for young people to come together to create product prototypes that respond to the issues of the future, led by Fab Lab Plymouth at Plymouth College of Art with FabLab Devon as partners. Adrian Farmer, Team Leader Year 7 Learners’ Baccalaureate and Engineering teacher at Great Torrington School, said: “HackFest has been an amazing experience for our pupils, exposing them to new technologies and aspects of design thinking and innovation above and beyond what they experience in the classroom. 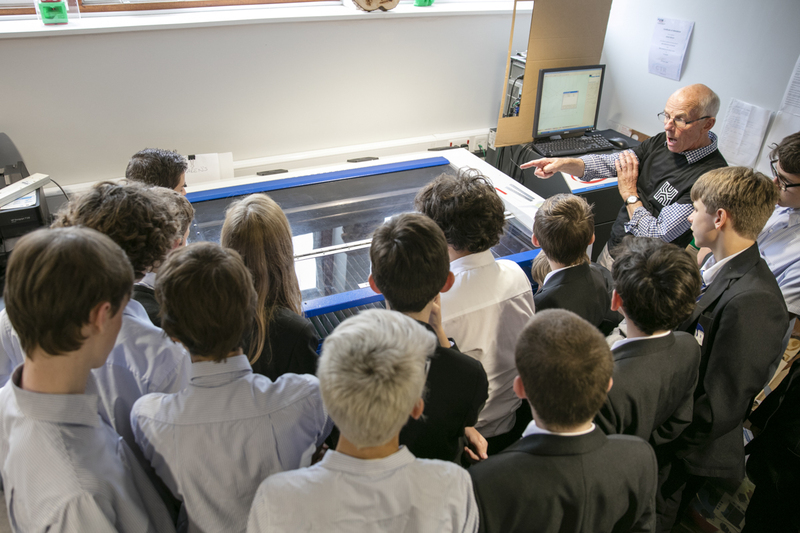 Participating students gain a vital insight into disruptive technologies and skills to equip them for future careers, through a programme of hands-on, dynamic workshops focused on: Design Thinking; Electronics and Coding; Lean Startup models; 2D Design; 3D Design and Printing; and Laser Cutting.